Although peak tornado season typically occurs April through June, violent outbursts struck early this year and featured one of the largest tornado events to ever occur in winter. The January 21–23 spate of storms produced 79 confirmed tornadoes across the Deep South from Texas to South Carolina, resulting in the second-deadliest January outbreak on record. According to the National Oceanic and Atmospheric Administration (NOAA), the U.S. averages more than 1,000 tornadoes per year — more than any other country. Annual insurance losses from U.S. tornadoes and thunderstorms range in the billions, with the costliest event occurring in Tuscaloosa, Ala., and nearby areas in April 2011, resulting in $7.8 billion in insured damages. While events of this magnitude account for only a small percentage of the total number of tornadoes that occur in the U.S., the Tuscaloosa event, along with the tornado that struck Joplin, Miss., a month later, initiated an ongoing review of building standards and closer scrutiny of materials used in new construction. It was determined that, while older homes are susceptible to tornado damage, improved building standards can help save many new structures from destruction, and thereby save lives, during future tornado activity. Since 2011, further study of a tornado’s path has indicated that greater damage occurs at the center of a tornado, with far less severe damage being inflicted on structures located near the edge. Even in the event of a rare EF-5 tornado, the greatest damage is limited to a narrow path, and most structures don’t experience a tornado’s highest wind speeds. All of this is good news, since the majority of U.S. tornadoes are EF-2-level storms or lower. Endurance RS4™ Structural Brick is oversized for safer, stronger, more sustainable and energy-efficient construction. Improved building practices for tornado-resilient structures include correct construction for load transfer, along with proper connections between the roof, walls and foundation to create a continuous load path and decrease wind force vulnerability. In addition, strengthening openings such as windows and doors, including garage doors, reduces the potential for pressurization, which can occur inside a building when these openings are compromised by wind damage, resulting in significant damage to — and even total destruction of a building. Reinforced masonry that is adequately connected to other building components can withstand high wind loads and also offers greater protection against wind-blown debris, which can penetrate a building’s cladding and leave the structure at greater risk for internal pressurization. 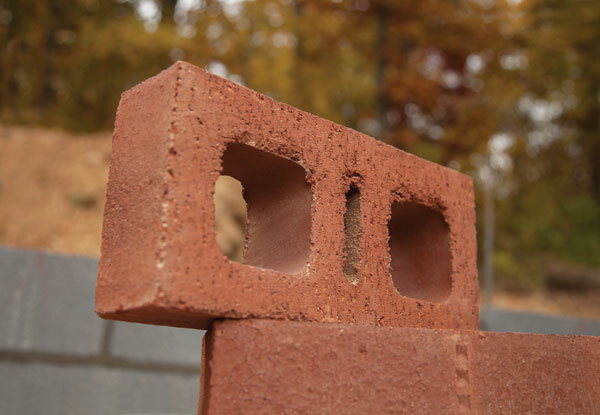 According to the Brick Industry Association, testing performed at the Wind Science and Research Center at Texas Tech University concluded that brick structures offer a much higher degree of protection from wind-blown debris than buildings constructed with other forms of cladding. A revolutionary product by General Shale is designed to withstand stronger winds even better than standard masonry materials. The company’s Endurance RS4™ Structural Brick is oversized for safer, stronger, more sustainable and energy-efficient construction. RS4 stands for “Real Strong, Real Safe, Real Sustainable, Real Smart,” which gives Endurance a significant advantage when compared to traditional brick products. Endurance is designed to bear higher loads, meet seismic requirements, and offer greater resistance, which is reassuring for builders and homeowners in areas susceptible to high winds and tornadic events. Endurance RS4 Structural Brick eliminates the need for load-bearing wood or steel framing and has excellent thermal mass properties. Suitable for any type of foundation, Endurance RS4 Brick is designed for homes in areas prone to high winds, tornadoes and earthquakes, or for important commercial or government buildings, such as hospitals, schools, courthouses and police stations. 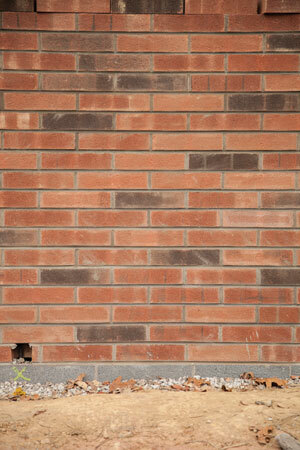 Larger engineering and utility-size bricks have been used for reinforced masonry applications for many years. 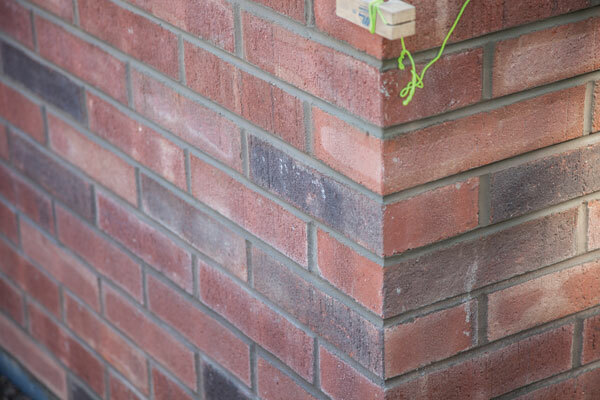 Endurance RS4™ Brick uses this same proven engineering method, but adds a more pleasing and practical scale. 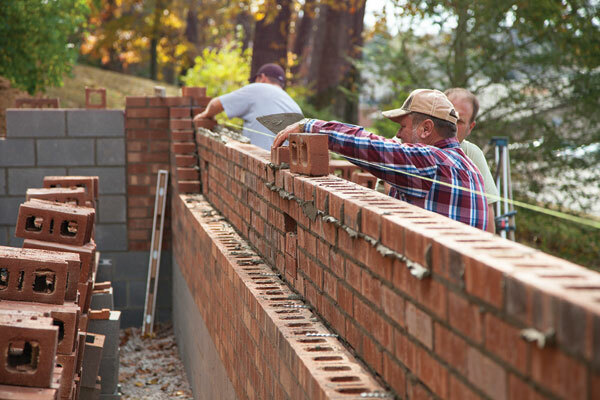 Since it is larger than traditional brick, Endurance RS4 Brick can be installed with minimal labor and overall cost adjustments, which are key benefits for builders, architects and contractors, who need easy-to-install, efficient and cost-effective building solutions. Endurance wall systems can also be used in conjunction with any type of interior wall construction (e.g., furring strips, non-load-bearing metal studs, hat channel, etc.) and insulation systems. The use of continuous rigid insulation, which reduces thermal bridging, is one of the most efficient methods of construction, both in terms of costs and energy savings. The combination of Endurance RS4 Brick and continuous insulation helps to dramatically increase a building’s energy efficiency, which can lower a structure’s Home Energy Rating System score. The combination of Endurance RS4™ Structural Brick with appropriate reinforcement between the wall system and roof creates a safer, stronger and more durable structure, providing greater peace of mind for property owners who live in areas at higher risk for significant weather events. Dawn Henning has served as General Shale’s director of marketing and sales since 2011. Headquartered in Johnson City, Tenn., General Shale is the North American subsidiary of Wienerberger AG and a leading manufacturer of brick. For more information, visit www.generalshale.com. Prior to the 2013 version of the TMS 402/602 Building Code Requirements for masonry structures, which was adopted by the International Building Code in 2015, brick veneer walls in Seismic Design Categories E and F were required to have continuous 9ga wire embedded in the bed joints. That wire was then connected to the backup wall integrated to the anchoring system through the use of a metal or plastic clip, or in some cases through the wire tie itself. In 2013 it was determined that this provision was not useful, after shaker table testing data was reviewed and later removed from the code requirements. While not required, these seismic anchoring systems are still found to be quite useful as crack control for veneer walls in areas where the risk for movement may be greater or where higher wind loads may be predominant. Many municipalities have, in fact, kept these requirements in their local building codes, and of course those jurisdictions operating under older versions of IBC are still held to the old Seismic Design Category requirements. What the current version of TMS 402/602 does speak to with regard to the veneer anchors is specific to the spacing of the anchors and the type of fasteners used. The standard code requirement for the spacing of common adjustable masonry anchors is one for every 2.67 square feet. However, in Seismic Design Categories C and above, the code requires that adjustable veneer anchors be placed for every 2 square feet of wall. 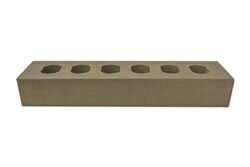 This increased number of anchors promotes stability within the veneer and reduces the chance of falling masonry debris. The fastener used to attach that veneer anchor must be a minimum of a No. 10 corrosion-resistant screw with a minimum nominal shank diameter of 0.190, or be of equivalent or greater pullout strength. If nails are to be used as fasteners, as in wood frame residential construction, the minimum pullout strength criteria would be that of a minimum 8d ring shank nail, as opposed to that of an 8d common nail, which studies have shown not to have adequate pullout strength to resist seismic loading. Jeremy Douglas, CSI, CCPR, is director of architectural services for Hohmann & Barnard. He can be reached at JeremyD@h-b.com. CalStar Products is expanding its brick offerings with six new sizes. 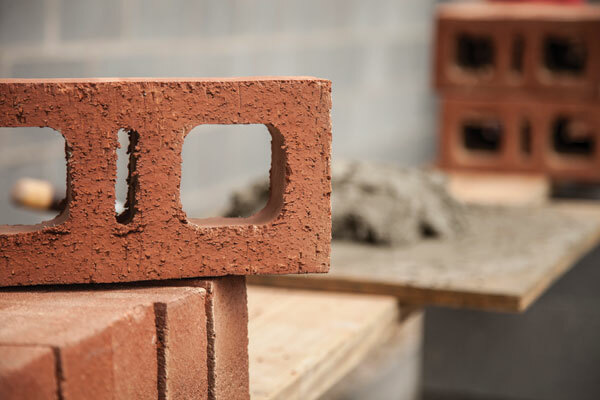 Like all of CalStar’s bricks, the units incorporate 37 percent recycled content and eliminate the need for kiln-firing, typical of traditional clay brick.